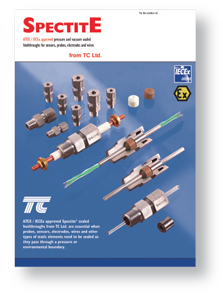 ATEX / IECEx Approved Compression Fittings - TC Kft. 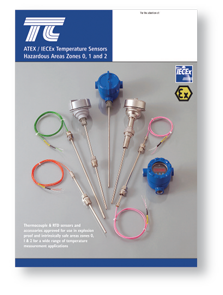 ﻿ATEX / IECEx Literature from TC Ltd.
﻿We are Europe’s largest manufacturer of temperature sensors, making thermocouple and resistance thermometer assemblies in every type of construction and configuration. 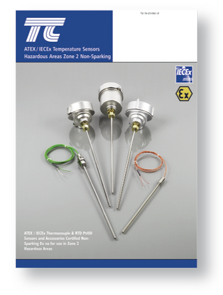 Sensors can be supplied ATEX / IECEx approved for Zone 0,1,2 use and can also be supplied with a UKAS calibration certificate from our approved laboratory. 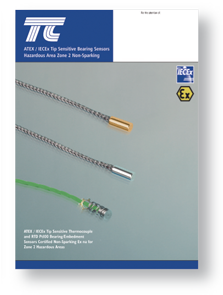 TC Ltd’s range of tip sensitive Thermocouple and RTD Pt100 Bearing sensors are approved for use in Ex nA (Gas) and Ex tc (Dust) protection concepts in Zone 2 areas. Sensor design ensures Nincs ív, szikra vagy forró felület. 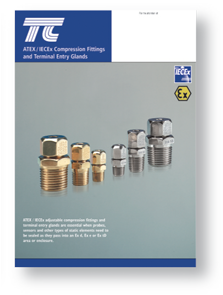 ﻿ATEX / IECEx adjustable compression fittings and terminal entry glands are essential when probes, sensors and other types of static elements need to be sealed as they pass into an Ex d, Ex e or Ex tD area or enclosure. They are available from stock with a variety of thread types and sizes to suit various diameter sensors. ﻿﻿Our Spectite range of sealed feedthroughs inhibit the leakage of gases or other media and restrain elements from moving in the assembly because of differential pressure. 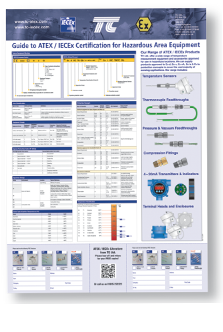 The feedthroughs are typically made from stainless steel and are designed for mounting on to an Ex d, Ex e or Ex tD process vessel or enclosure.